The <tbody> tag is used to grouping the body content in the table. The <tbody> tag also support Global Attribute and Event Attribute. <tbody> tag - is used for displaying the content of the table. HTML and CSS are declared as the table data. Here we can see the output HTML and CSS indicates the table data. yes no Provides the alignment of the content. 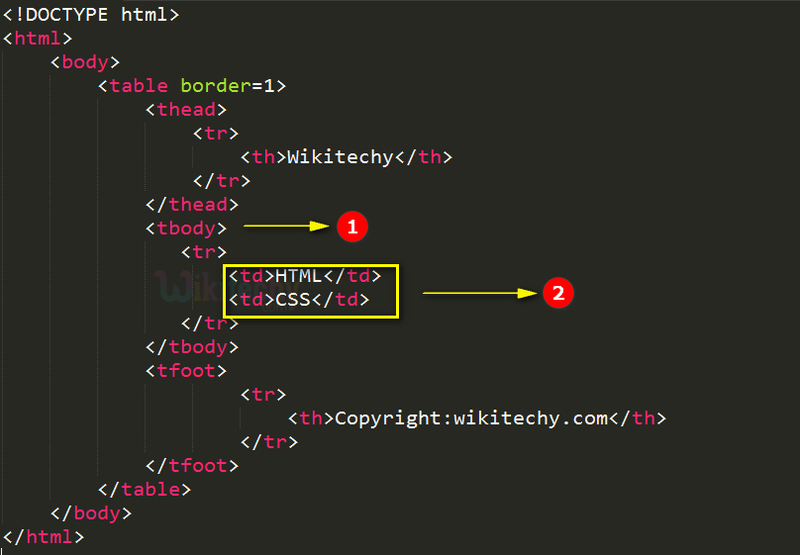 Inside the <tbody> element we can define any number of <tr> tags. The <thead>,<tbody> and <tfoot> elements should not affect the layout of the table.